First off, I love working with fabric. I have a whole stash of various colors, styles, and textures to choose from when I want to experiment with an idea. I also have a supply collection that includes brooch pin backs, headbands, buttons, glass marbles, single prong hair clips, barrettes, etc. So, when I say I had all these items on hand, I mean it, even the tiny Sterling Silver Plated Bails to loop the necklace chain through (the chain pictured is one I have had forever and use with all my charms). However, you should be able to find these supplies at craft stores, fabric stores, or even through supply sellers on Etsy. Even Amazon has various craft items to choose from these days. 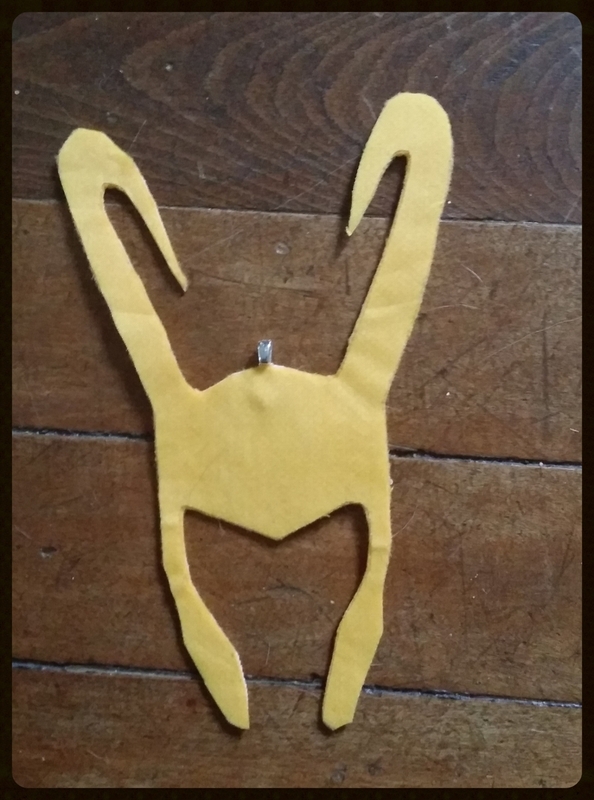 So here we go - how I made these quick fabric Loki helmet necklace charm. If only I could walk around wearing Loki's actual helmet everyday. But I could walk around embracing my inner "baddie" with this little charm. 5. Heat n' Bond Thermoweb Iron-On Adhesive (available at craft / fabric stores or even Amazon). 8. An Iron and Ironing Board (if you do not have an ironing board - just use a scrap towel (this is what I did for a few years. No judging). a. 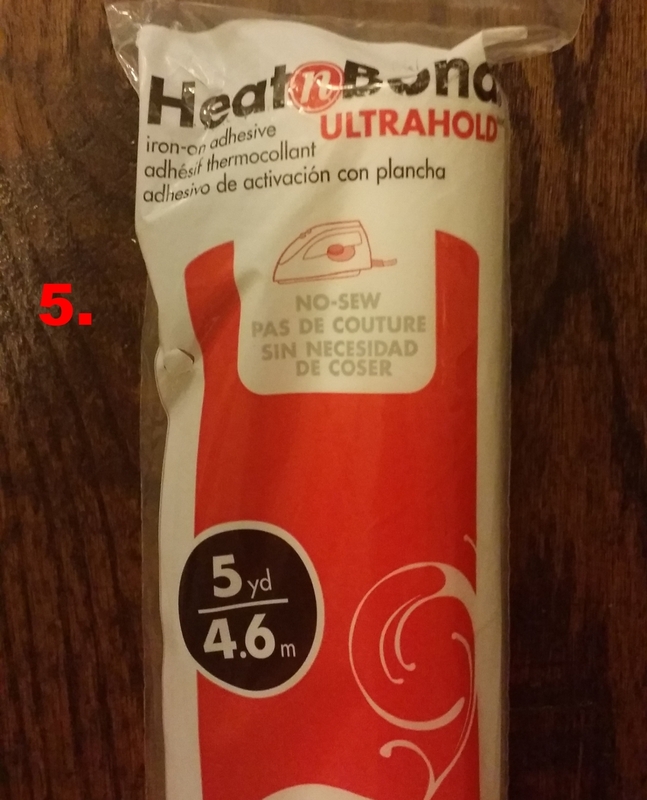 Following the directions on the packaging of your Thermoweb Iron-On Adhesive to treat one side of each type of fabric (not the felt, just the fabric as seen in #4 of the supply list). My reason for using this over fabric glue is there is no mess. Also - be careful using your iron. You do not want to start off this project by burning your hand. 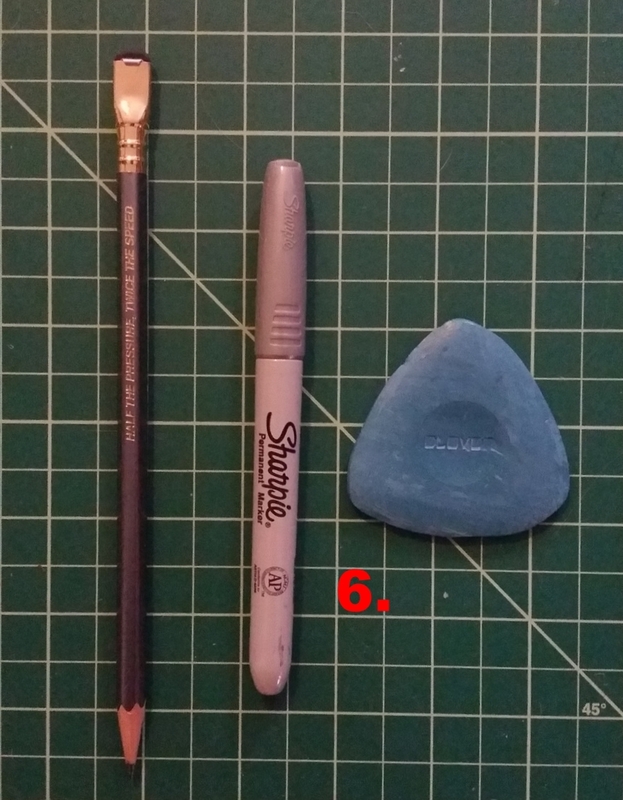 There are a few tutorials online (like this one) if you are curious about working with Heat 'n' Bond adhesive. It comes in various weights to choose from, depending on your project. This was the type I had on hand. b. After you treat one side of your fabric with Heat 'n' Bond, you will have a shiny, textured side. This is the side I choose to sketch / mark on. c. Trace the design with your preferred writing utensil on one of your sheets of fabric (test beforehand to make sure it does not bleed). 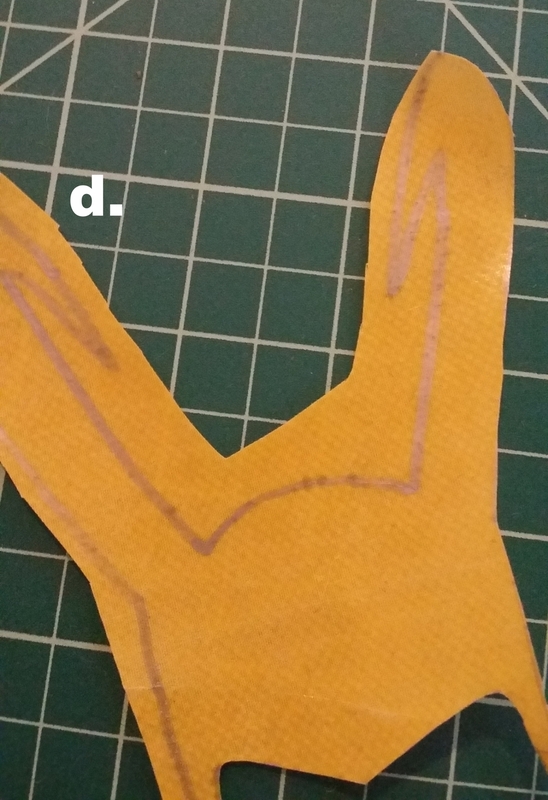 If you choose a thin yellow as I did, you should be able to trace the template underneath. If not you will need to cut out the image to use an template - in this instance I suggest cardstock. When using templates always remember to have the ride side facing toward the right side of the fabric. You don't want to end up with a backwards design. d. Once you trace the design, it is now time to cut it out. Take your time and remember to use a good pair of scissors. e. For this project, I decided to use fabric on both sides (to allow it to be reversible. 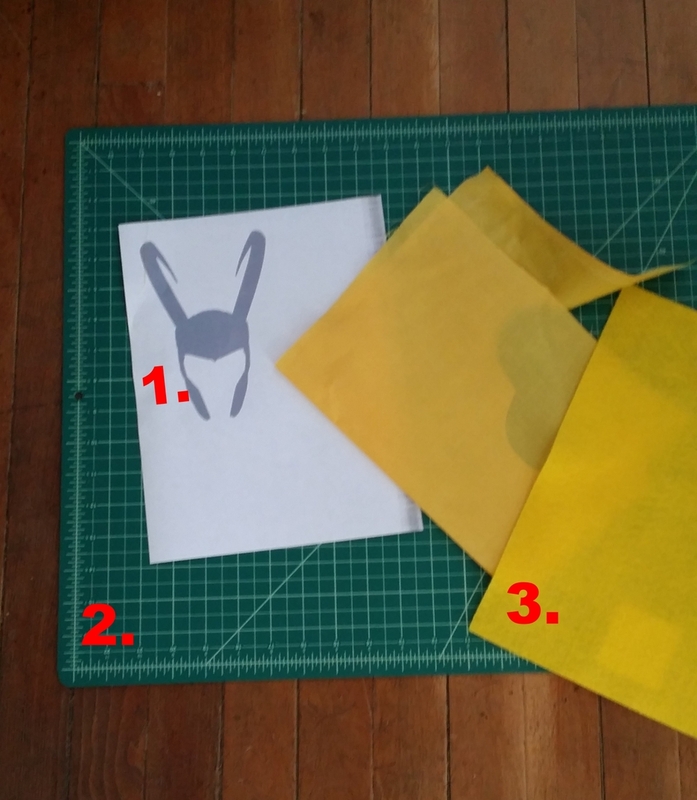 Therefore, I placed felt in between the Loki helmet fabric cutout and another sheet of heat-n'bod treated fabric. You will want to face the Heat N'Bond side toward the felt. 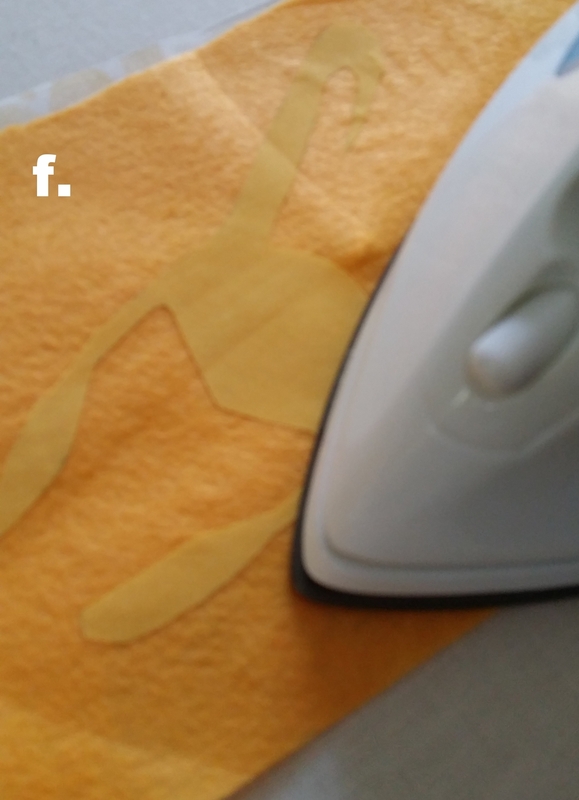 f. Now, you want to carefully iron the felt (you want it to lay out flat and no bunch up). When ironing the helmet, you also get the benefit of the decorative fabric below adhering to the other side the felt). I placed my sterling silver plated bail between the felt and decorative fabric (which is what the little bump is in the image). 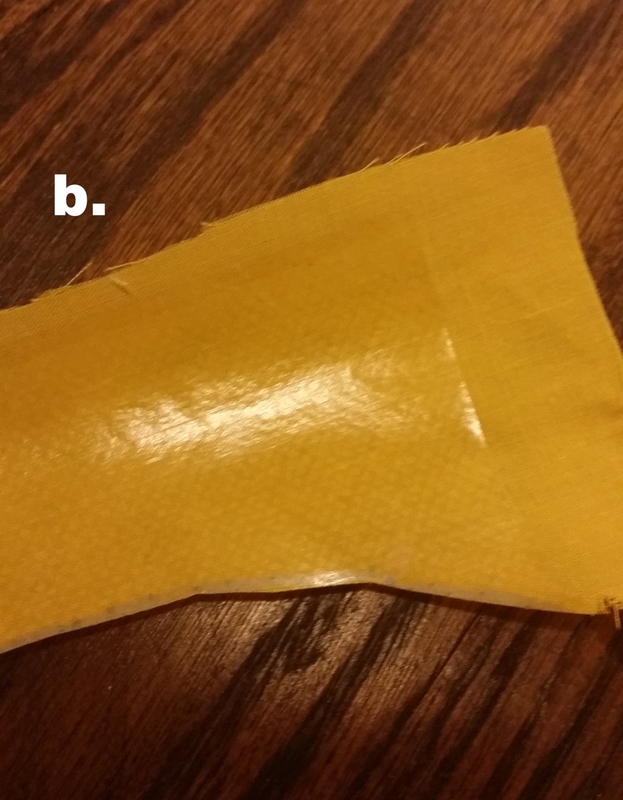 The bail will keep the adhesive from forming - but it will not secure the bail - that is step 10.
g. Once all the fabric is fused together - cut out the helmet again - but this time through all three layers: yellow fabric, felt, and decorative fabric. h. Use your preferred craft glue to secure the bail in place (my apologies for not having an exact photo, but i needed both hands). A little goes a long way. Hold it down for a few seconds until it is set in place. I consider this a reversible necklace - you could skip many steps if you just wanted one side. Though, I did find the added benefit over a second treated layer of fabric to give the helmet more structure. It always depends on the type of fabric one uses. If you think your edges with still fray despite the bond: I recommend using a quick stitching technique (for example a blanket stitch) to secure the edges. If you have any questions or comments, please feel free to include them below.